With a journey that spanned times of war and times of peace, times of plenty and times of want, Dorothy Ampulski lived a life of purpose while holding her loved ones near. 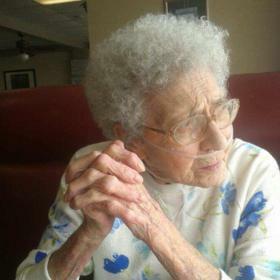 She was a longtime resident of the community she called home, and over the years she was involved in so many things. Deeply devoted to her family, Dorothy was proud to watch her family tree blossom to include so many branches of loved ones. Nurturing and caring. She lived to serve others in ways both great and small. Deeply loved, Dorothy will be forever missed. It was great to be an American during the decade that we commonly recall as the Roaring Twenties. There were dance marathons, jazz music, and with the invention of the radio, America had a new way to receive their news, entertainment, and even opportunities to see beyond their front door. 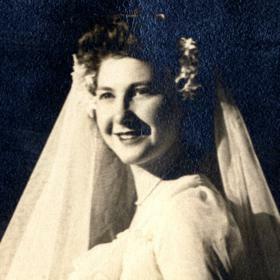 Amidst this exciting time was a time of great joy in the lives of Adam and Antoinette (Potyraj) Golembiewski as they announced the birth of the baby girl they named Dorothy Joan on February 8, 1925. Born in Grand Rapids, Michigan, she was raised in the family home on Delony, SW, alongside her five older siblings, Anthony, Leo, Steven, Victoria, and Marion “Whitey.” Her father was a factory worker in a local furniture factory while her mother was a busy homemaker. In many ways Dorothy was a young girl of her generation. 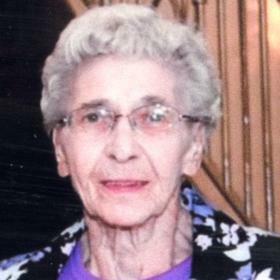 As a lifelong WestSider, she was a lifelong member of Sacred Heart of Jesus Catholic Church. There, Dorothy was devout in her faith, attending Mass every day. She was also baptized, received her first holy communion and confirmation, and was married there. It seems only fitting that her funeral is being held in the same church as well. 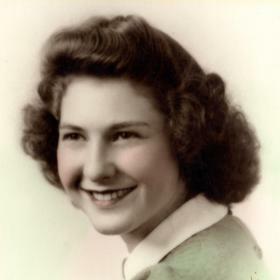 Dorothy attended Sacred Heart School through the eighth grade, then graduated from Catholic Central High School in 1943. She enjoyed doing typical things with her girlfriends such as polka dancing on the WestSide and skating in John Ball Park. Not to be forgotten during her years as a young woman was Dorothy’s introduction to the man of her dreams. His name was Walter Ampulski, and they met at a dance on the WestSide. They began dating, and it didn’t take them long to fall in love. With a desire to spend the rest of their lives together Dorothy and Walter were married on February 19, 1946, while Walter was still in the United States Army. The newlyweds had a Polish reception at Kosciuszko Hall, which was near her home. The young bride followed her husband to Texas. Once his military duties were fulfilled, the couple returned to Grand Rapids and bought a home on Delony, SW. Together they welcomed three girls, Karen, Deboray, and Shirley into their hearts and home. Throughout her life Dorothy was known for her strong work ethic. After high school she worked at her uncle Steve’s meat market, and she later took a job as an office worker. For many years, Dorothy was bartender and manager of the Elbow Room Lounge, and she also worked as a waitress at Frankie’s Restaurant on Fulton Street. Dorothy was one to keep busy. She loved gardening and caring for her yard. She also froze and canned much of the produce she grew including pickles, tomatoes, and peaches among many others. Dorothy loved playing Bingo at local halls and churches, and most weeks she played all seven days. She loved visiting the casinos, and at times she tried her luck at the lottery. In fact, her grandson, Tommy, became her “ bookie” who fetched her lottery tickets for her. 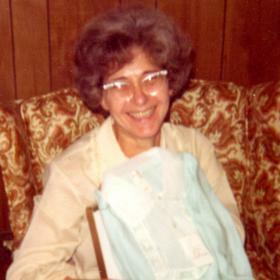 For years Dorothy kept busy with embroidery and made gifts for family and friends. She was a fantastic cook of Polish cuisine including kielbasa, kapusta, golumbki and kruschike. Every Saturday evening it was t was t-bone steaks. Dorothy’s favorite shows were Ed Sullivan, Lawrence Welk and all the game shows like Family Feud, Jeopardy, and Wheel of Fortune. She also watched the daily news and read the Grand Rapids Press every day. There was never anything of greater importance to Dorothy than her family. After her mother died, she welcomed her father into her home. Dorothy was thrilled to become a grandmother, and she babysat her grandchildren for several years. She cherished every moment she spent with her grandchildren, and she never missed a birthday or other important event in their lives. When her beloved husband got sick, Dorothy tenderly cared for him until his death on October 14, 2004. Although she was deeply saddened by his death, the love of her family and her strong faith sustained her during the days that followed. As the years went by, Dorothy’s health declined. She suffered from COPD and other related issues. Her grandson Mike, recently moved in with her to help when needed. just recently, her granddaughter Rachel, brought her great grandson Harrison, to see her. With unending love for others, Dorothy was such a blessing. She worked hard, but she also took the time to enjoy life along the way, often with her loved ones by her side. Dorothy cherished her roles as a wife and mother, but she just might have argued that nothing was better than becoming a grandmother later in life. She will never be forgotten.